Portrait of Joseph Walter Northrop, Jr. Image available on the Internet and included in accordance with Title 17 U.S.C. Section 107. Lovett Hall, Rice Institute's first building, circa 1912. Courtesy of Rice University. Image available on the Internet and included in accordance with Title 17 U.S.C. Section 107. St. Matthew Lutheran Church, Houston. Image available on the Internet and included in accordance with Title 17 U.S.C. Section 107. San Jacinto Trust Building. Image available on the Internet and included in accordance with Title 17 U.S.C. Section 107. Northrop designed the Slaughter House in the West Eleventh Place Neighborhood, 1921. Courtesy of the City of Houston. Image available on the Internet and included in accordance with Title 17 U.S.C. Section 107. Joseph Walter Northrop, Jr.'s Grave. Image available on the Internet and included in accordance with Title 17 U.S.C. Section 107. NORTHROP, JOSEPH WALTER, JR. (1886–1968). 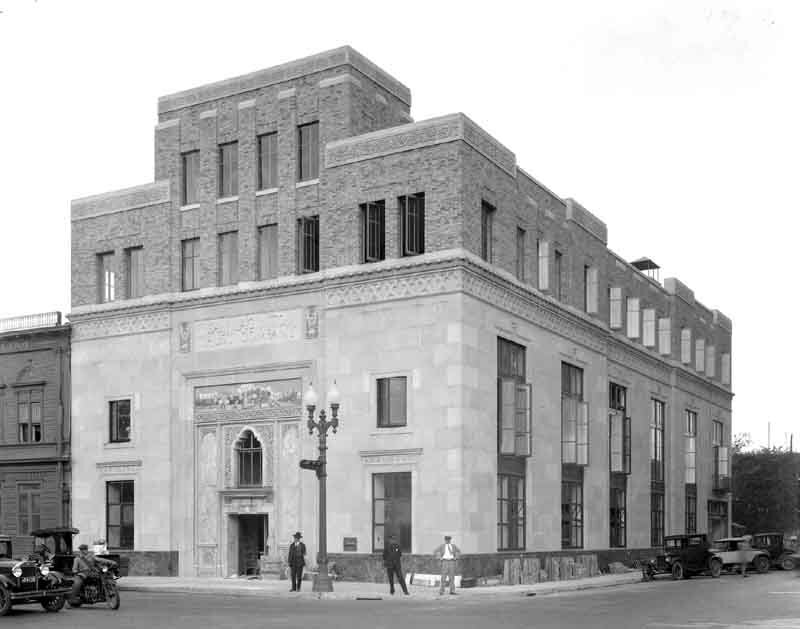 Joseph Walter Northrop, Jr., architect, was born on July 21, 1886, at Bridgeport, Connecticut, the son of Joseph Walter and Mary (Ogden) Northrop. He attended Bridgeport public schools and earned an A.B. degree from Wesleyan University in 1907. He received a B.S. in architecture at Massachusetts Institute of Technology in 1910 and that same year went to work for the Boston architectural firm of Cram, Goodhue, and Ferguson. In 1911 the firm sent him to Houston to serve as clerk of the works for construction of the initial buildings at Rice Institute (now Rice University), which Cram, Goodhue, and Ferguson had designed. Although formally associated with the firm until 1919, Northrop embarked upon an independent architectural career in Houston in 1914. From the 1920s through the 1950s he was responsible for the design of a number of public buildings. These included a series of warehouse and retail buildings for J. L. Jones, the First Evangelical Church (1927), the First Congregation Church (1927, now St. Matthew Lutheran), Trinity Church (1926–27), the Public Library Building (1926) in Marshall, the San Jacinto Trust Company Building (1927–28), and Houston Title Guaranty Building (1952). He was best known, however, for his suburban single-family houses, especially those designed in an American Georgian style. Northrop worked extensively in the South End neighborhoods of Houston and was one of the first architects commissioned by the Hogg family to design houses for the exclusive new River Oaks subdivision. 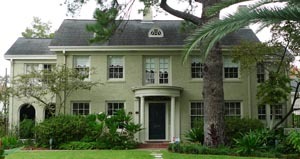 He laid out the Houston subdivision of West Eleventh Place in 1920 and designed four of the eight houses built there. He also designed two of the earliest houses in Shadowlawn, including one for John H. Crooker (1923–24), the developer of the division. In 1941–42 Northrop served as chief architect for the Federal Housing Administration in Houston. His designs were published in several professional journals, including Architect, American Architect, and Architectural Forum. His "Mediterranean"-style First Evangelical Church in Houston, which recalls the architecture of Rice Institute, received honorable mention in 1930 in a nationwide competition sponsored by the Christian Herald; in 1931 American Architect awarded Northrop a certificate of merit for the Henry M. Holden residence (1924). Two houses he designed on South Boulevard in the West Edgemont subdivision were written up in House & Garden in the early 1930s. Northrop was a member of Phi Beta Kappa and of the River Oaks Country Club. He joined the American Institute of Architects in 1923 and served two consecutive terms as president of the South Texas Chapter, from 1927 to 1929. He was a parishioner of Trinity Church. He married Mary Harris in Houston in 1915. They were the parents of three sons, the second of whom, Page Harris Northrop, joined his father in the firm of Northrop and Northrop in 1942. The elder Northrop died in Houston on September 26, 1968, and was buried in Glenwood Cemetery. American Architects Directory, 1962. Emory A. Bailey, Who's Who in Texas (Dallas: McCraw Press, 1931). Ellis A. Davis and Edwin H. Grobe, comps., The New Encyclopedia of Texas (2 vols., Dallas: Texas Development Bureau, 1925?). Houston Architectural Survey (6 vols., Houston: Southwest Center for Urban Research, 1980–81). Handbook of Texas Online, Stephen Fox, "NORTHROP, JOSEPH WALTER, JR.," accessed April 25, 2019, http://www.tshaonline.org/handbook/online/articles/fno17.